Any regular reader will know I have a slight problem with aftershaves - I can’t help but pick them up, try them and buy them. It costs me a fortune, but it’s probably one of the safest addictions to have right? Lacoste Booster didn’t fall into my collection through the standard routes, my brother actually left a bottle after staying over. It sat in my bathroom for months until I actually smelt it out of curiosity! The reason it had never aroused the urge to smell it previously is due to the extremely ugly packaging! The bottle looks ugly, cheap and very tacky! You have to see it first hand to really appreciate how nasty it is. A green bottle coated in white plastic with a white plastic pump spray. Classy, I think not. I have never seen this on the shelves of perfume/aftershave counters and I’d be inclined to steer well clear as it gives off so many ’jog on’ signals I can’t understand why anyone would go for it. This fragrance was launched in 1996 and is aimed at the sporty, adventurous type of man who wants to feel manly but pleasant at the same time. Taking a peek at the Lacoste website will throw reams of information relating to the history of the company and what this fragrance will do for you. The notes to Lacoste Booster state that this fragrance has hints of Menthol, Nutmeg, Eucalyptus and Lavender. Taking those main ingredients into account you would think this aftershave would have a very fresh, sweet smelling aroma with wooden undertones. You’d be wrong! The first time I sprayed this onto my face I gagged! Although I hadn’t sprayed any in my mouth I could actually taste the fragrance it was so strong! This wasn’t a fruity, sweet smell. It was heavy and extremely overpowering. It was difficult to actually distinguish any particular smells at all. Obviously panic set in. I stank! I was late for work and I literally hummed to high heaven of this stuff. Rather than taking another shower and changing, I headed off to work with rather paranoid thoughts running through my mind. Surprisingly, given 20 minutes, the fragrance changed dramatically. The overpowering odour had calmed down and certain smells became evident. The Lavender in particular was most noticeable, and rather than being heavy on my nose, it was bearable and in all honesty, quite refreshing for such an earthy aftershave. After a few hours of wear, the smell changed again. The ingredients although surprising combined well to give a heavy citrus smell. Marketed as a manly aftershave it did have that rough around the edges smell, but with only a small amount of time was needed for this to transform into an elegant, subtle fragrance that drew compliments from young and old alike. Given that the fragrance starts off being so powerful and heavy, only a little is needed to give you a great feel. Personally, I would recommend this to men aged 30+, and for use really during the day. It’s nothing special and if I had a choice, I wouldn’t use this as a pulling fragrance as there are much better aftershaves on the market that will bring the ladies flocking. This isn’t your young mans fragrance, if I had to sum it up, I’d say it was an upmarket version of Old Spice. It’s not going to set the world on fire, but you’re not going to knock people out with the stench. 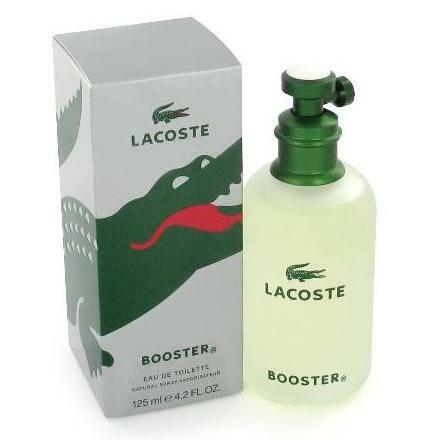 The cheapest I have seen Lacoste Booster was online at just over £10 for a 50ml bottle. Bearing in mind only a tiny bit is required this is great value for money. Not only is this really cheap, the smell lingers for an absolute age still being evident after 10 hours. Lacoste Booster is too heavy a fragrance for me. Personally, I would only buy this if I was watching the pennies. I prefer to pay that little bit extra and get a light, fruity sweet smelling fragrance from one of the more established fashion/fragrance houses. If you like/enjoy Old Spice, Brut or Fahrenheit this would suit you down to the ground for daywear, and daywear only. Sounds like it's one to avoid, I found your review refreshing, thank you. Ooh probably one to avoid ever getting the hubby I think! Thanks for the honest review! So a present for the father in law for Christmas then. 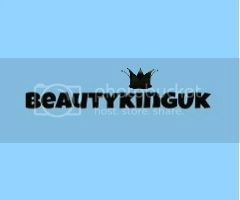 Thank you for an honest review. I did have a chuckle reading this and the thought of you stinking to high heaven on the way to work! You're right that it is nasty packaging. Who puts aftershave in a plastic bottle? The question is though are you going to buy your brother something decent for Christmas? What a refreshingly honest review! I often buy aftershave for my hubby and this sounds like one he would hate! Definitely an interesting review and probably not one I'll be rushing out to buy my boyfriend!! Thank you for the advice!! Perhaps one to give a miss then - thank you for a great honest review. I would prefer the OH sticks with his tried and tested brand. Some odours make me nauseous, irrespective of cost!